Oh, no. 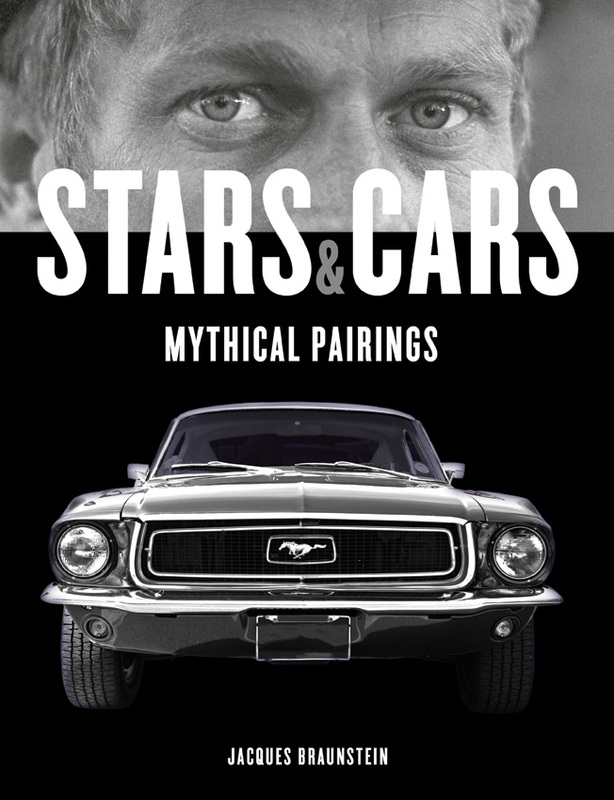 Not yet another book about movie stars and their cars. 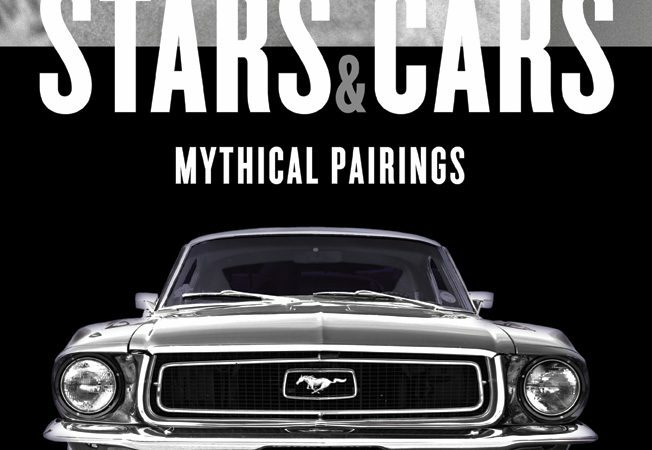 I admit, that was my first impression when I received news about Stars & Cars: Mythical Pairings, a new book authored by Jacques Braunstein. But, I also admit, I was mystified by the subtitle — Mythical Pairings — and the fact that I was not familiar with the author’s work; he’s a Paris-based journalist and author of three novels. Perhaps, I wondered, has he taken a flight of fancy, matching famous people with the cars they’d drive were he allowed to do the pairings. Regardless, I was intrigued and requested a review copy. As you can see, and immediately recognize, those as Steve McQueen’s eyes staring at you atop the 9×12-format dust jacket, and beneath those eyes and the book’s title is the nose of the famed Bullitt Mustang. So, I realized, this book is not about mythical pairings. But can I hope that it’s about magical pairings of stars and cars? I read the book’s introduction, learning, among other things, that the final bidders on the 1957 Ferrari 335 S from the Bardinon collection at the Artcurial auction last year at Retromobile in Paris were soccer stars Lionel Messi and Cristano Ronaldo, with Messi securing the car for $35.9 million. Braunstein also points out that within a five-year period, five of the most iconic cars in history — the Ferrari 250 Cal Spider, the E-type Jaguar, the Porsche 911, Mr. Bond’s Aston Martin DB5 and the Ford Mustang — were created in what the author terms a golden age of car design. Also created within a five-year time frame, he notes, were the automobile and the moving picture. Not only intrigued but informed, I started thumbing through the pages. First up were Steve McQueen and his Bullitt (and other cars he drove or raced). Next came James Dean and the 550 Spyder. Next up: Paul Newman, featuring a 911 S but also including cars his drives in the Indy-racing movie Winning and his voicing of Doc Hudson in Cars. But it was the next spread that showed me this book was a keeper. There on page 35 was Jean-Louis Trintignant, sitting on the hood of a Simca 1000. Trintignant is the co-star of my favorite “car” movie, even if it’s not really supposed to be a car movie. The movie is A Man and a Woman, which won the 1966 Oscar for best foreign-language film and features Mustangs and GT40s and rainy-night road scenes. In the movie, Trintignant plays a widowed race car driver. With life imitating art, he would marry rally racer Marianne Hoepfner and together they would compete in the Monte Carlo Rally. He also would compete in high-powered sports cars, including at Le Mans, where he survived a crash at more than 200 miles per hour. McQueen, Dean, Newman, Trintignant and others are part of a chapter titled “Actors Who Race.” There are six chapters in the book. One focuses on musicians and artists and writers; another on TV stars and the cars from their shows — including Peter Falk and the Columbo Peugeot and Jon Hamm and the Mad Men Cadillac. Bond, Mad Max, the Blues Brothers’ Bluesmobile, the Fast and Furious Charger R/T. They’re in there. So are Thelma and Louise and their Thunderbird. 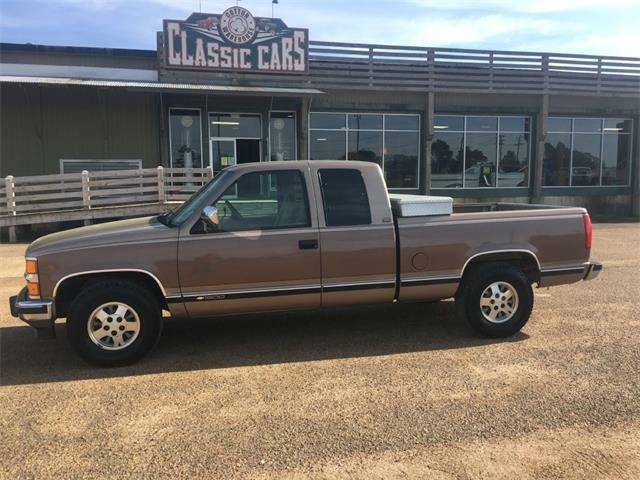 The last chapter covers “Famous Duos,” such as Batman and the Batmobile, Clint Eastwood and the Gran Torino, Barry Newsman and the Dodge Challenger, Jeff Bridges and the Tucker, and, of course, Robert DeNiro and a Checker cab. Intrigued? Order a copy. I’m not sharing mine.